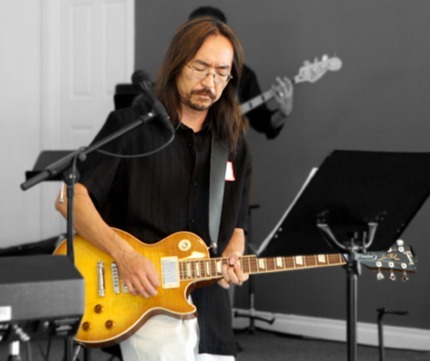 My name is Peter Rhee and I perform and teach music in the South Bay, California. If you’re interested in hiring me or taking lessons, feel free to contact me for my current rates. I don't like to talk about myself so I'll let some of my students' quotes speak for me. "Peter is relentless in making sure you never back away from reaching your full potential." "Peter is an incredibly well rounded musician and has a such a comprehensive background with the many genres and history of music that I can see how he so capably works with such a wide variety of individuals and their often eclectic tastes in music." "Peter is a gifted teacher who inspires me to grow musically."